Is Jesse Eisenberg Miscast as Lex Luthor? The main problem is that Luthor has traditionally been cast by actors like Gene Hackman (who played the character in 1978’s Superman) and Kevin Spacey (who played him in 2006’s Superman Returns) and I think there’s a very good reason that older, more experienced actors were cast. Namely they bring a level of experience, of gravitas and maturity that Eisenberg doesn’t have, mainly because it comes with age. And traditionally it’s not something that you can act your way around. 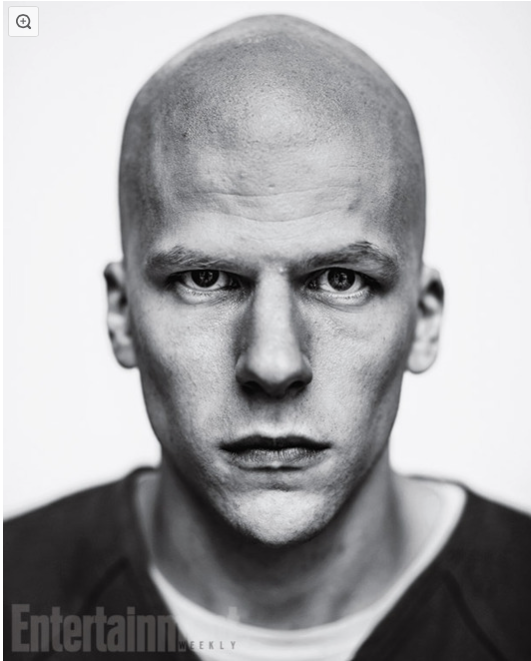 Eisenberg is a smart and capable actor, but he doesn’t look like Lex Luthor to me. in my mind’s eye I can already see him running about, like a bald version of the character he played in 2010’s The Social Network and know that whomever that chararcter is, it won’t be Lex Luthor. By the way, does Zach Snyder have something against older people? The reason I ask is that most of his films–casting wise–seem to skew toward attractive, relatively speaking, younger people. Posted in actors, DC Entertainment, directors, Movies, My Two Cents, Warner Bros..Tagged Batman v. Superman: Dawn of Justice, Gene Hackman, Jesse Eisenberg, Kevin Spacey, Lex Luthor, Zach Snyder. Previous Post Help Us, Guillermo Del Toro, You’re Our Only Hope!